What is the cheapest way to get from Conca dei Marini to Bomerano? The cheapest way to get from Conca dei Marini to Bomerano is to line 5080 bus which costs 3€ and takes 25m. What is the fastest way to get from Conca dei Marini to Bomerano? The quickest way to get from Conca dei Marini to Bomerano is to taxi which costs 40€ - 50€ and takes 13m. Is there a direct bus between Conca dei Marini and Bomerano? Yes, there is a direct bus departing from Conca dei Marini Bivio and arriving at Agerola Bomerano. Services depart every two hours, and operate every day. The journey takes approximately 25m. How far is it from Conca dei Marini to Bomerano? The distance between Conca dei Marini and Bomerano is 3 km. How do I travel from Conca dei Marini to Bomerano without a car? The best way to get from Conca dei Marini to Bomerano without a car is to line 5080 bus which takes 25m and costs 3€. How long does it take to get from Conca dei Marini to Bomerano? 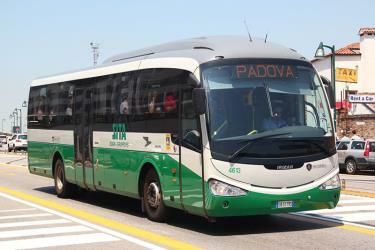 The line 5080 bus from Conca dei Marini Bivio to Agerola Bomerano takes 25m including transfers and departs every two hours. Where do I catch the Conca dei Marini to Bomerano bus from? Conca dei Marini to Bomerano bus services, operated by Sita Sud, depart from Conca dei Marini Bivio station. Where does the Conca dei Marini to Bomerano bus arrive? 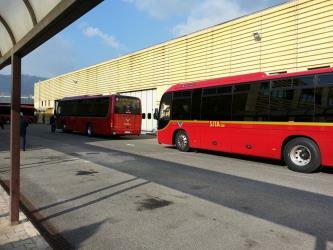 Conca dei Marini to Bomerano bus services, operated by Sita Sud, arrive at Agerola Bomerano station. Where can I stay near Bomerano? There are 5730+ hotels available in Bomerano. Prices start at 55€ per night. What companies run services between Conca dei Marini, Italy and Bomerano, Italy? 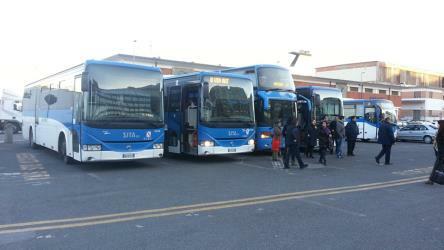 Sita Sud operates a bus from Conca dei Marini to Bomerano every 2 hours. Tickets cost 3€ and the journey takes 25m. Discover how to get to attractions and hotels near Agerola. Pompeii was an ancient Roman town-city near modern Naples, in the Campania region of Italy, in the territory of the comune of Pompei. Pompeii, along with Herculaneum and many villas in the surrounding area, was mostly destroyed and buried under 4 to of volcanic ash and pumice in the eruption of Mount Vesuvius in AD 79. Pompei is a city and comune in the Metropolitan City of Naples in Italy, home of the ancient Roman ruins part of the UNESCO World Heritage Sites. Villa Rufolo is a building within the historic center of Ravello, a town in the province of Salerno, Italy, and which overlooks the front of the cathedral square. The initial layout dates from the thirteenth century, with extensive remodeling in the nineteenth century. The House of the Faun (Italian: Casa del Fauno), built during the 2nd century BC, was one of the largest and most impressive private residences in Pompeii, Italy, and housed many great pieces of art. It is one of the most luxurious aristocratic houses from the Roman republic, and reflects this period better than most archaeological evidence found even in Rome itself. Rome2rio makes travelling from Conca dei Marini to Bomerano easy. Rome2rio is a door-to-door travel information and booking engine, helping you get to and from any location in the world. Find all the transport options for your trip from Conca dei Marini to Bomerano right here. Rome2rio displays up to date schedules, route maps, journey times and estimated fares from relevant transport operators, ensuring you can make an informed decision about which option will suit you best. Rome2rio also offers online bookings for selected operators, making reservations easy and straightforward.